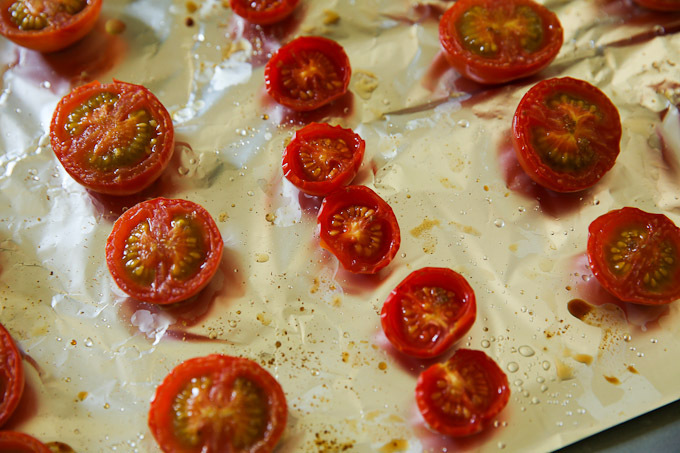 Every now and then the overnight tomatoes make their appearance on various food blogs I follow. They have many fancy names like night blushed tomatoes or moon dried tomatoes, but I think the flavour speaks for itself. 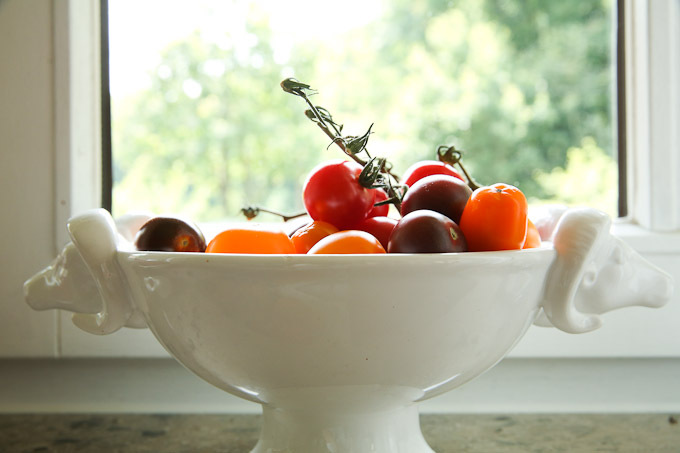 When I talked with my local vegetable shopkeeper about the many possibilities to enjoy the little heirloom tomatoes I remembered the overnight method and promised to share it with him. It's super easy and the result is irresistible. 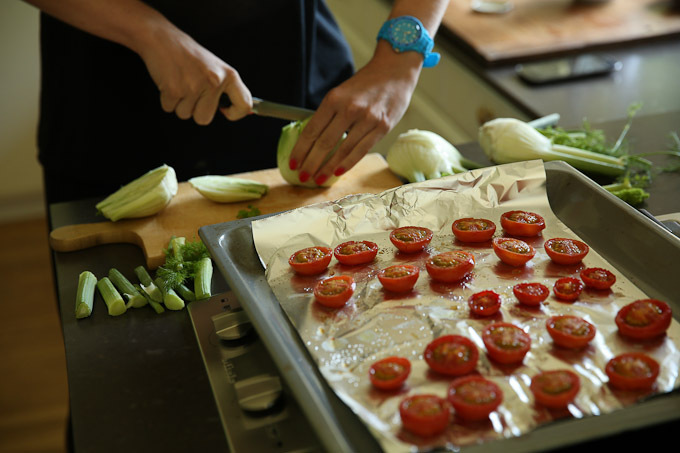 While you heat your oven up to the maximum (250°C), you cut the tomatoes in halves, put them on a baking tray and season them to your liking. I love to sprinkle them with salt, brown sugar (or maple syrup) and a bit of ground caraway. That's it. The moment you put the tomatoes in the oven you turn off the heat and go to bed. 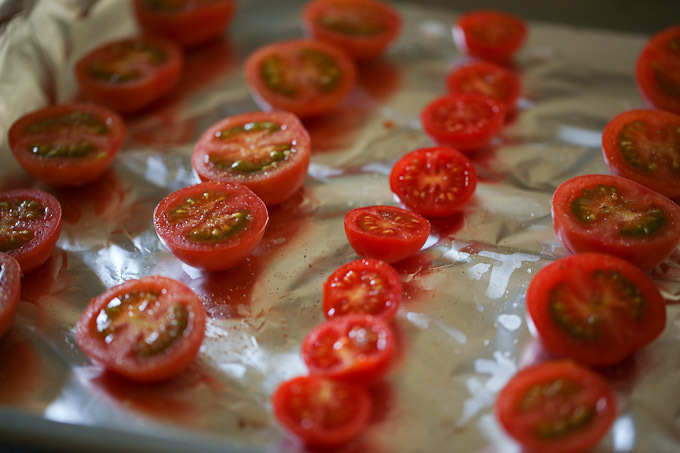 When you open the oven the next morning, you'll find the most sweet, tasty, semi-dried, wonderful, delicious tomatoes you hardly can contain yourself from eating them right from the tray.